The sound of language can be just as melodic as the sound of music. Languages such as French, Italian, Spanish and Portuguese are renowned for their lyrical cadence with songs being enjoyed by the masses despite a possible lack of understanding. When reflecting upon famous songs sung in foreign languages, Danish is not one that often comes to mind, at least for us Americans. Many musical artists from varying countries choose to sing in English because it is easier to breakthrough in the music industry and offers a more widespread appeal. However, electronic duo AyOwA chose to remain loyal to their Danish tongues, sharing the beauty of their words with the world. 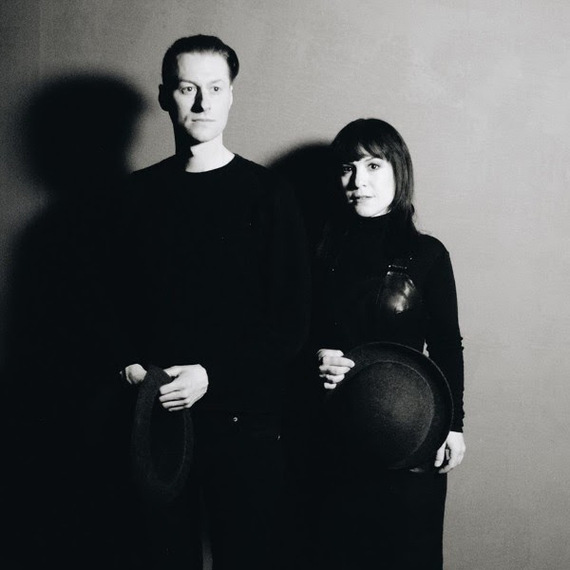 Long time friends, Nicolai Kornerup and Hannah Schneider transformed their companionship into musical alchemy when they began creating improvisational electronic sounds as AyOwA. The two spent a summer in a suburban basement in Copenhagen experimenting with modular synth, old reel-to-reels, and Schneider's haunting voice, thus creating their first single, "Sommer." Their environment greatly influenced this track acting as a manifestation of the deep yearning for a season that sometimes never comes. Electrifying beats paired with Schneider's orphic vocals lead the listener down an entrancing aural path that could even charm the likes of Hades. Its slow, rhythmic movement is melancholy yet electrifying, beating with the pulse of a body at rest. When meaning is removed from the lyrics, I can indulge in the unique intonations of the Danish language, following along each lilt, timbre, and inflection that oozes from Schneider's vocal reeds. Though it becomes a solely sonic experience, that does not change its emotive powers. The accompanying video to "Sommer" is an avant-garde art piece that was set in an old Copenhagen theater and was directed by Danish photographers, Tobias Følsgaard and Jonas Lodahl with staging by Franciska Zahle. Simple yet bizarre, the duo shares a surreal brunch of flower petals hidden within soft-boiled eggs as they silently consume the flora in perfect contentment. The surrealistic meal is paired with a minimalist scene of the two adorned in oversized bowler derby hats like something plucked from the mind of Magritte. Strange and tantalizing, the oddly sensual imagery coupled with the evocative melody of "Sommer" stirs the sensory palette.